The London Suzuki Group provides numerous performance opportunities throughout the year. These concerts are held at the Royal Academy of Music, 2-3 times each term, on Sunday afternoons. Children are put forward by their teachers to play a solo with a professional accompanist in an intimate setting. The students get a chance to rehearse with the accompanist prior to the concert, which has about 15 performers of all ages and standards and is open to all instruments. The Groups Concert is usually held in the Autumn term. All London area groups are invited to perform for each other at this concert. So far this has been taken up by the string groups and we hope to see recorder, flute and voice there too one day. These concerts have been held in venues such as St. John’s Smiths Square and the Royal College of Music. The pianists have an Annual Piano Concert where all the pianists from across London come together at a prodigious venue such as Dukes Hall and perform for one another. There are usually 2 or 3 concerts on this day to ensure a sufficient length and variety. The Annual Strings Concert is held every March unless the British Suzuki Institute hosts the national concert. This is often held in Cadogan Hall and is an opportunity for string students to come together from across London and play in groups according to their level. This concert ends with hundreds of children on stage playing together. 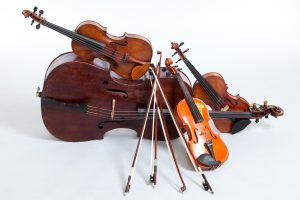 There is a Chamber Concert for pianists to give students an opportunity to play Suzuki piano repertoire pieces with a string quartet accompaniment. The string quartet is made up of LSG teachers. The Early Stages Workshop is an LSG priority booking and discounted rate event for LSG members. It’s a half day workshop at the Royal academy of Music for pianists up to and including Book 3 which includes individual lessons, a parents talk, a Dalcroze class and a concert. On Roehampton University Annual Piano Day LSG pianists move into Roehampton University for the day. A chance for all LSG pianists to come together, meet each other and share their playing with 3 concerts in one day. Every so often there is an instrument specific Playtogether where children can come together to play through their repertoire. Here is a list of Suzuki workshops happening around London on an annual or semi-annual basis. Check out our event listing for specific dates and times. BSI National Children’s Workshop, a non-residential 3-day workshop at Royal College of Music for Violin, Viola, Cello, Piano, Flute, Recorder. Held during the Easter holidays.